Advanced technology has allowed TV's to grow bigger and broader over the past decade, in turn, this has meant that we can now have home theaters. It's almost as if we have a movie theater in our house with a crisp and sharp image but without the price of paying for the movies. Get yourself some budget popcorn and treats, then you're ready to watch a movie with the whole family and not spend a dime. 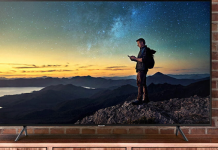 In 2019, there are tons of models to choose from when you're looking at 75-inch TVs available online. From curved designs to shiny chrome borders, you can virtually have anything you want if you're willing to pay for it. We've put together a list of the top 7 best 75-inch 4K TV's that you're sure to love. 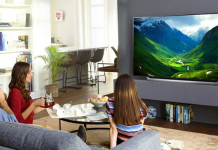 We hope by looking at this list, you can decide what model is best for you and get more of an understanding of the best things to look out for when you're on the hunt for a new family TV. 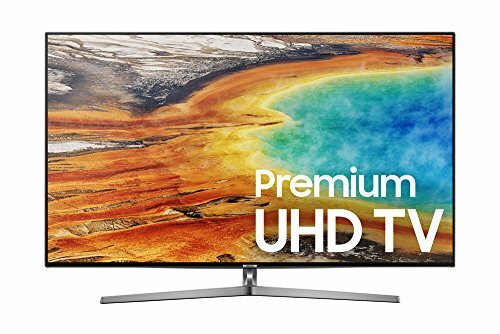 Is a 75 Inch 4K TV necessary? 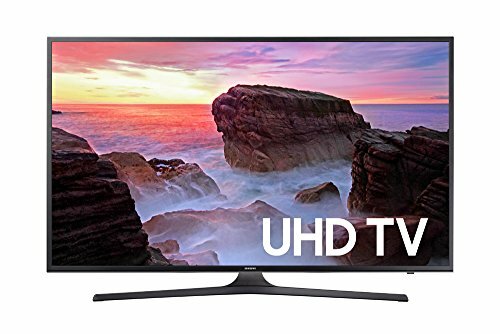 What refresh rate is best for 75 inch 4K TV? What is better for a 75 inch 4K TV Curved or Flat? Where to buy 75 Inch 4K Smart TV? We know how difficult it can be to navigate you're around the technology marketplace when you're not sure what you want and only have a specific budget to spend. To help you out a little bit more we've also included a TV buying guide that covers what you may want to keep an eye out for. Buying a 75 inch Tv isn't necessary, but if you've got the cash to spare, then you may as well treat yourself to something you wouldn't normally. On a tight budget? Consider these 4K TVs for under $500. Performing better than average is this 4K smart LED TV from Samsung. The MU6300 model isn't anything too extravagant, but it works well and provides the user with fantastic image quality. It has a tremendous native contrast ratio meaning you can make the most of the sharp and bright colors when you're viewing a movie or TV show. It's also an ideal TV for all the gamers out there. The input lag is low meaning the games are even more responsive compared to other models. The 4K UHD TV's design is pretty standard, it's not curved, but it borders are smaller than other options, and the stand is very supportive. You can tell it has a good build quality as it doesn't look plastic-like and has an excellent overall feel when you're looking at it. Regarding mounting it to the wall, you should be able to do with ease as it's pretty thin and only gets thicker towards the bottom of the 4K UHD TV unit meaning it won't stick out. The 4K UHD TV will also appear bright even in bright and natural lightroom, this is very uncommon for larger TV's as they often struggle in the lighter rooms. The SDR brightness is rated highly by customers even for those who have placed the 4K UHD TV near a window. Likewise, the black uniformity is great, and the colors are sharp. It only has one minor flaw that can definitely be overlooked considering the build quality and price of this model. The flaw concerns the picture quality at an angle, it degrades rapidly, and this should be considered if you have a larger living area as not everyone will be able to enjoy the 4K UHD TV from all angles. Why We Liked It - Affordable larger UltraHD TVs are often seen as budget models, but they're mostly some of the best around. Don't let lower prices fool you into thinking the 4K UHD TV isn't great. There are plenty of fabulous options for those on a budget, and this is just one of them! Moving away from single stand TV's, we come to this LG UJ6470 model. It has a high refresh rate of 120Hz so you won't have to worry about your TV juddering when you're watching action-packed movies or TV shows. This 4K UHD TV also has smart features such as app streaming and web browsing. Forget using your laptop or phone for your internet access, you can now use your TV! Ask Google a question or type it in using your magic remote there are so many different options available. The image quality of this LG 4K UHD TV is excellent, and the build quality comes close to perfect too. Unlike most Samsung TVs, this larger 75 inches 4K TV has local dimming and customers have said it's all they ever wanted. There are plenty of HDMI ports on this model, and the input lag is low too so all the gamers out there will be able to connect their consoles without any hassle or issues. Overall, it's a well-performing 4K UHD TV with extra features that any family will be thankful they have. The ultra-luminance is a nice touch and enhances the viewing experience whereas the 4K resolution is another addition we love. However, it does have some flaws, these are pretty minor but should be discussed before purchasing. There have been issues with the brightness of the 4K UHD TV and how it copes in brighter rooms, and the sound quality could be improved too. You can quickly fix the sound issue by connecting external speakers or a soundbar sound system. Why We Liked It - LG products aren't always appreciated as much as they should be! We absolutely love most of their 4K UHD TV models and think they should be a lot more popular than they are. This one is just a taster of what Lg can create when they think about their products! This TV is an excellent addition to any home theater, no matter how many people you want to watch it. Are you a movie lover looking for the perfect home theater TV? Look no further than this Samsung MU8000 4K UHD TV! It has a perfect black uniformity and native contrast so you'll not have to worry about the quality ever again. Since it's such a huge screen, you're going to need somewhere ideal to place it too. It's not curved, but this means it's ideal for anyone who wants to mount the 4K UHD HDR TV on the wall, it's shiny chrome finish is another thing we love! Instead of having a dull black matte color, you can add a little dimension to your living area with this model. The input lag is low too, so you know what that means? Gamers will have a great time playing their favorite games on this model. As well as this, it also supports modern features such as HDR brightness and has a 4K resolution. It's a perfect choice for any family who wants to add a little style to their home just by merely adding a TV. It's not the cheapest model around, but it looks attractive which is always great! However, the 4K UHD HDR TV has a standard color gamut, and the image does degrade at an angle which isn't minor flaws but should be thought about before purchasing. Why We Liked It - Anything that can add to the modern feel of your home is always a bonus. The chrome design is a nice touch, and we would recommend it to anyone who likes something unique. Despite this, the 4K UHD HDR TV still has a great image and builds quality which is a bonus! Something a little more versatile, this Samsung MU9000 4K UHD TV has good image quality and handles motion well. It also has a low input lag and can produce deep, uniform blacks which are unusual considering the reasonable price. If you love to watch dark movies (those such as horror or action), then this 4K Ultra HD TV is ideal as it has good dark scene performance. It really will improve your viewing experience for the better! Also, when you're playing it, this 4K Ultra HD TV feels very responsive and can get bright if you turn up the brightness levels. It only has some flaws which could affect your viewing pleasure, this includes the poor local dimming and the fact that the image loses accuracy at an angle. These two flaws aren't anything to worry about, but if you're a professional electrician or know your TV technology, they may annoy you! Why We Liked It - It may not be curved, but previous customers have explained how nice this 4K Ultra HD TV is to watch and play games on. For those who are movie lovers or game players, this is your new toy. 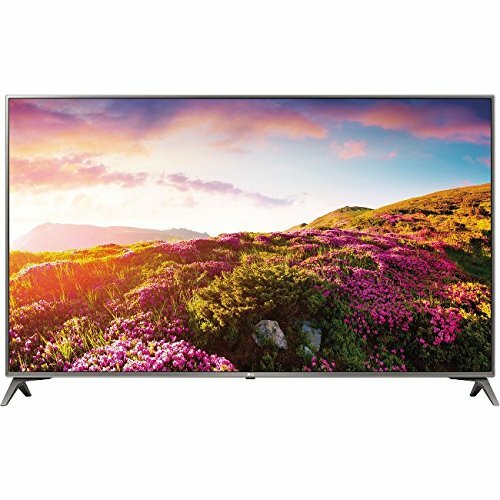 This LED TV is a great addition to any household if you're wanting a budget 75 inch 4K TV that performs well and has a good build quality. It isn't the best TV ever, but it has good pros that make things easier to choose when you're purchasing it. These are factors such as a wide viewing angle and a WebOS smart platform! All of these benefits are great if you're looking for something that performs well despite being a lower price. 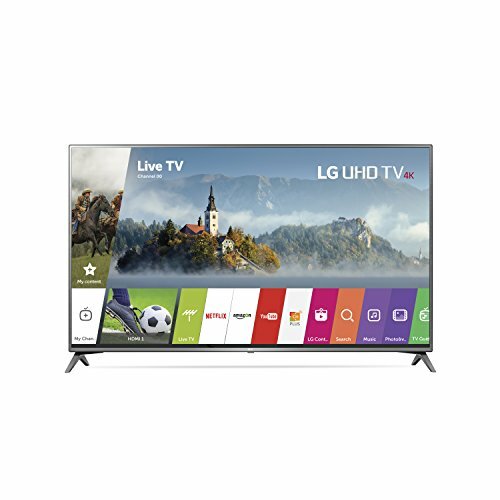 LG has a range of great 75-inch models you can choose from, and this is just one! It's also ideal for sports and video games too, could you possibly want anything else? It may not be curved, but the center stand is a nice touch, it has a chrome finish and a modern look which we really like, it makes it stand out from the other 75 inch models available. It does have some flaws though, one is more dominant than others. It's still a good TV despite negative aspects! It has a sub-par picture quality when displayed in a dark room, and the peak brightness could be a lot better than it. Despite this, the refresh rate is 120Hz which is impressive considering how cheap this 4K Ultra HD TV is. Why We Liked It - The higher refresh rate of 120Hz is ideal if you want to watch a lot of fast HDR movies or sports. The low input lag is also great for those who love playing video games. We love that considering the price, it's a good quality TV with lots of benefits. We especially like the smart features it has. Do you want to try out an LED TV with a good image and sound quality? This versatile 4K 75 inch Samsung TV might be the best choice! It has good motion handling, so if you're wanting to watch fast-paced 4K content and movies, you can definitely do it! The low input lag also means it's responsive for gamers. The 4K Ultra HD TV has a great voice control feature named the Bixby assistant, this has been previously reviewed as a huge bonus of this model. There are very few UHD TVs with the voice control assistant, but it's always good to have. Another advantage is the SDR peak brightness, this means that during darker scenes, the 4K Ultra HD TV can keep the black levels low and the brighter colors even brighter than before. There are minor flaws with this 4K Ultra HD TV, and although they shouldn't affect whether you buy it or not, you should still consider them. The sound quality is below average, and the build quality feels solid but is plastic, and some issues are experienced when you're viewing the TV for a long time. Overall, it's a good quality TV! Why We Liked It - The brightness of this 4K Ultra HD TV makes a difference in how we view the HDR movies and TV shows. It's always great to find a model that looks attractive and performs well too. 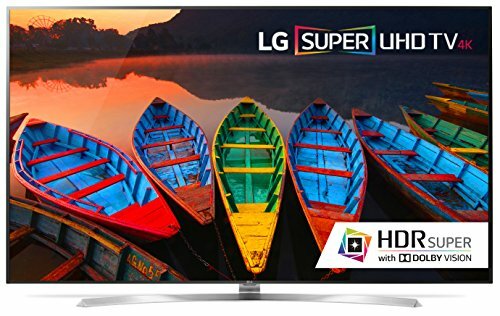 This 75 Inch LG model has an excellent low input lag for gamers who wish to plug in their consoles and a 4K resolution. It is high quality, but the price is reasonable which is good if you're on a budget. It can also play a wide range of 4K content and has a wide viewing angle which is great if you have a larger family or a room which has multiple seating areas. 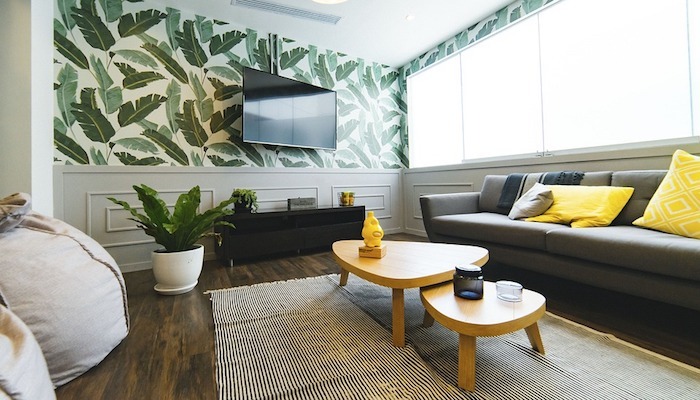 There are some flaws you need to consider before purchasing this TV unit; the local dimming isn't the best quality, and it's pretty pricey considering the black uniformity comes across as gray instead. You may expect to get something a lot better than you do consider the price you pay! Why We Liked It - Sometimes high-quality products are surpassed because of their name or price, but this one is a great choice for anyone in a family who likes to appreciate TV. The wide color gamut allows the colors to stand out amongst the crowd and pop' instead of all blend together as they do on some 75 inch models. 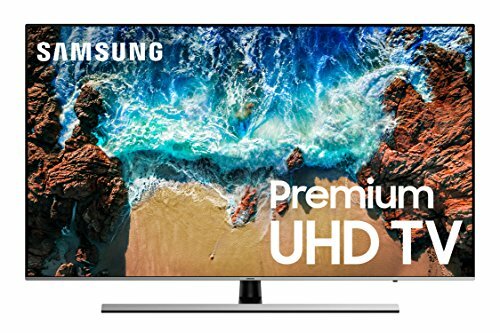 Things to Consider When Buying A 75 Inch 4K TV? If you're planning on buying a 75-inch TV, you want to ensure you're buying something good quality. Just because a TV has a 4K resolution, doesn't mean to say it's going to be the best quality. Take some time to consider what benefits you will get if you think more carefully about the model you're buying. We've put a few factors together to give you more of an idea of what to look out for. These aren't decisive factors, as not every TV you look at will have them, but it's worth looking out and seeing what's on offer. 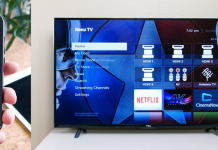 You may also need to think about the price difference between the smart TVs, just because you pay a more substantial price for a particular model, it doesn't mean to say it will be the best. Most TV's will come with the quick connection if they're modern. This connection is either built in via Wi-Fi or ethernet cable but should allow the user to stream apps if they wish (such as HBO Now or Netflix) and sometimes they even have Google Chromecast features too. This isn't a necessity on a new 75 inch TV but having the Smart TV Platform means you don't always have to use the regular TV. You can try out a movie or a TV show on the streaming platforms instead. You can also browse the web and play games on some UHD TVs which is a huge bonus! You definitely won't have to go out of your way to find a smart TV in the current market, most smart TVs have it built in regardless of price and brand. They're convenient and free up space for extra HDMI ports if you want to play games. You can always find smart TVs to solve your problems, and you're sure to love it! The refresh rate of a TV is how many frames per second it can display (individually). This is often shortened to Hz which means hertz. There are two main ways that manufacturers refer to refresh rates, and these are native and effective. It is thought that 120Hz native refresh is the amount you want for a smooth looking motion, but there are other models out there that are only up to 60Hz and perform well. However, the effective refresh rate is mostly down to the digital picture and its processing. It's best to ignore anything that claims to be above 120Hz effective as they don't exist. Many companies will advertise their model as 240Hz or even more, but it's always in the best interest of the user to be cautious when purchasing a TV based on the refresh rate. The better the refresh rate is, the more you're going to enjoy watching the TV with your family! A good refresh rate means the motion is smoother and you can enjoy the movie or TV show you're watching. Before you purchase a TV, you have to know how much space you are working with. You're never going to fit a 75 inch TV in a super small space, but similarly, if you have a larger space to work with, then you don't want a tiny TV in it. You must keep in mind that TV screens are measured diagonally, so it's not just height and width. However, these measurements can be found on the dimensions of the TV. Ensure you measure the space you have correctly, or the TV may end up too big for space. You also want to ensure you have enough room around the TV to insert cables and ports if you need too. You may want to get a huge TV but only get one that will fit the size of your wallet and the space in your living area/bedroom. It's a common misconception that the dimensions of a TV are all the same when the screen size is the same. Just because you want a 75 inch TV, doesn't mean to say the whole TV will be that big, you need to consider the stand and the borders too. Nothing is ever necessary! It's all about what you can afford out of your budget. Sometimes people would rather spend more money on a TV rather than anything else, whereas others would rather have a smaller TV and get another treat. Buy a 75 inch TV if that's what you want for your home theater, but you should never feel obligated too. The best refresh rate for any TV is always between 60Hz and 120Hz. We have stated above that 120Hz is the maximum a TV can be. There are so manufacturers and companies that will try to sell you a TV and claim that it has a higher refresh rate, but as of 2019, this isn't possible. Going for an average to higher refresh rate is great if you like seeing HDR movies run smoother and more effectively than before. You may not think having a higher refresh rate makes a difference until you try it out on a model that performs really well. 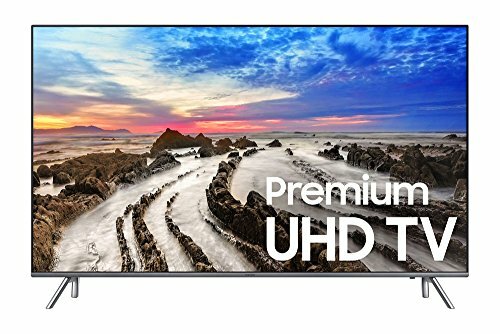 This is another personal preference factor, if you want a 75 inch 4K Samsung TV that is curved, then you can definitely get it for a reasonable price. But, if you prefer flat TV's, then they're equally as good. You can only tell whether you like the flat or curved designs if you go to a store and try them out for yourself. Store all over the country and world sell different brands of TV, it doesn't always matter where you buy your TV from. Just ensure it comes with the manufacturer's warranty. If you're buying a TV second hand, then you're more than welcome to do so, but just make sure the warranty is still valid. 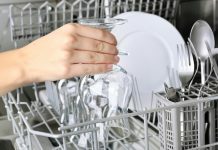 Most stores and retailers will give you information about the warranty and information on how to claim on the warranty if you need too. Electronic stores are the best places to see the TV's for yourself, but most of the time you can buy them a lot cheaper online. Websites such as Amazon are great if you want o to save some money. Expensive TV's aren't always the best quality models, you should compare previous reviews from customers and weigh up the pros and cons of each one before buying your 75 inch TV. It's a common misconception that those expensive manufacturers are providing the best service with their TV's, sometimes they're definitely not the best! Try out something a little cheaper, they're often a lot better than you think they will be. The first flat screen TV to reach the market was in 1950, since then technology has come a long way, and UHD TVs are getting bigger as the decades continue. Who knows when the dimensions of TV's will slow down? No one!